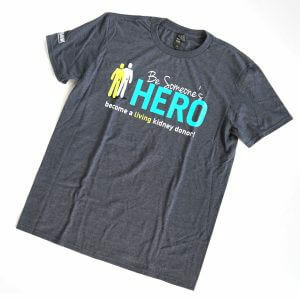 In April of 2017, our Board Chairman, Dr. Mark Biscone, donated a kidney to a family friend in need of a transplant. 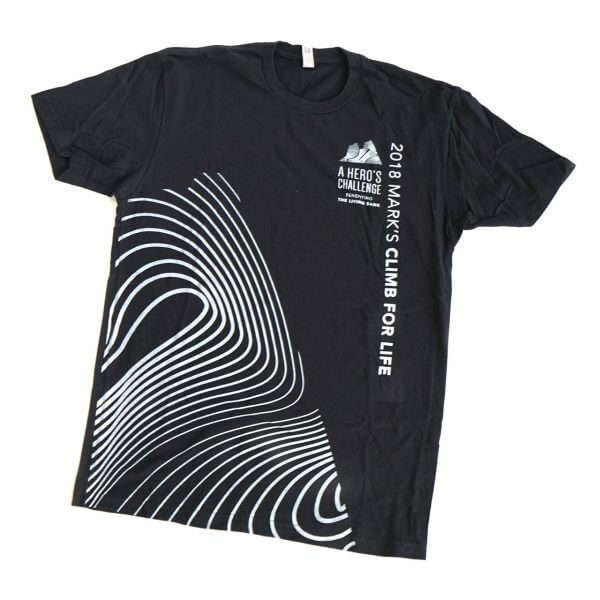 Fast forward to today – that friend is healthy enough to train for a half Ironman Triathlon and Mark himself, will soon embark on a rigorous five-year mountain climbing challenge across the globe to bring awareness to living organ donation. 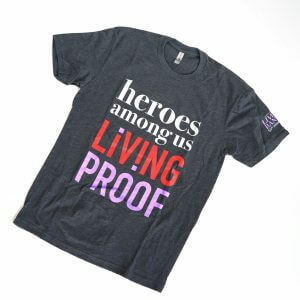 You can support Mark’s fundraising efforts, benefiting The Living Bank, by purchasing this Hero’s Challenge t-shirt. This softstyle tee comes in unisex sizing. Availability will vary depending on size. If requested size is not available tee shirt will be upsized.